WASHINGTON — Through the first half of the year, killings in D.C. jumped about 20 percent from the same period in 2014. The real spike started in May. Since then, D.C. has averaged about one homicide every other day. While police are careful not to blame a single impetus, they do describe a correlation between the increase in violence and the explosion of synthetic drugs in D.C.
Mayor Muriel Bowser said flatly that she believes the synthetic drugs — which go by names such as K-2 and Spice — are responsible for an uptick in homicides. New York, Chicago and Milwaukee are among other large cities that have also experienced an increase in violence this year after a long trend in the opposite direction. “It’s bad enough that we’ve got a drug that’s having this impact on our community, but to have businesses selling it, that’s unacceptable,” Lanier says. On Wednesday, she says she walked Benning Road for less than an hour before seeing someone who was “catatonic,” standing in the middle of the road. Lanier said the man had overdosed on K-2 and had to be taken to a hospital by ambulance. 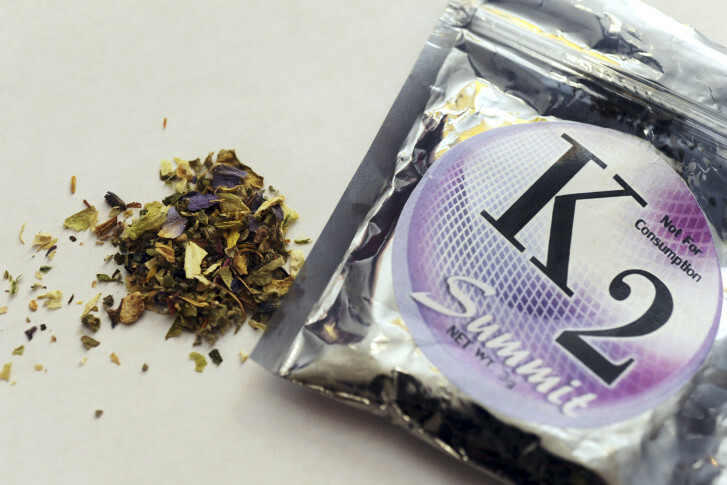 The D.C. Council this week passed emergency legislation to combat the spread of synthetic drugs. Once signed into law, businesses caught selling the drugs will be fined $10,000 and potentially closed for 96 hours.